As we know Android is a Linux-based operating system designed primarily for touchscreen mobile devices such as smartphones and tablet computers. Android has many effects. 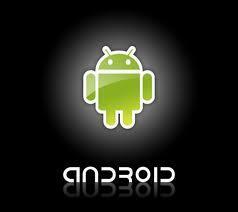 Most of the people around the world use an Android operating system. The main thing is that an Android user can do anything that can be done by computer. Yeah, anything! So it is a different aspect that varies from all other operating systems. By using Android operating system one can enjoy music with high sounds, watching videos in high definition, software reliability etc. But the main thing we can’t avoid is the default property of Android.Its plays a major role and stands differently from other operating systems. In Android Os you can set a file to open with a certain program by default as like windows. For example, if u installed and configured an image viewer such as Picasa (Android version) the system will ask you to select an app when you try to open an image file. So here I am Explaining how to Set Default App in Android. check ‘Use by default for this action’ before you tap that app. Then the next time you open up with an image file it will always open with the app you have selected without asking you again. I hope you have enjoyed this post and find it useful to fix your issue to set default app on your Android smartphone. If you have any doubts, feel free to comment below. This trick is shared by Avinash Babu who loves blogging, surfing, programming, phreaking and lots more.